Travel to the area that was once the Roman Empire and you’ll see various remains of ancient stone etchings that have stood the test of time. Even without the precise laser technologies that are used to create engraved bricks today by Laser Impressions Inc., a number of ancient Roman ruins still contain the creative remnants of talented stoneworkers and carvers. This is the idea behind donor bricks that are used throughout the United States today in successful fundraising programs. Laser engraved bricks provide a lasting memorial to individuals who have provided support to organizations in a time of need. A brick fundraiser can be incredibly intuitive to organize and implement, in contrast to other fundraising activities. The fundraising process for laser engraved bricks is pre-planned by Laser Impressions and the process is further simplified by special marketing tools that make it easier to solicit for donations. For organizations in need of a tried and true fundraising campaign that will ultimately bring in the necessary funds and resources, a donor brick program by Laser Impressions Inc is a great place to start. Laser etching creates a durable, precise image that is actually melted into the clay of the brick. In contrast to sandblasting, laser etching is more durable. As time passes, bricks that have been engraved with lasers are more likely to withstand the elements. Donors will easily recognize the virtues of laser engraving. Soliciting for donations is simple when potential donors can readily see the durability of the final product. 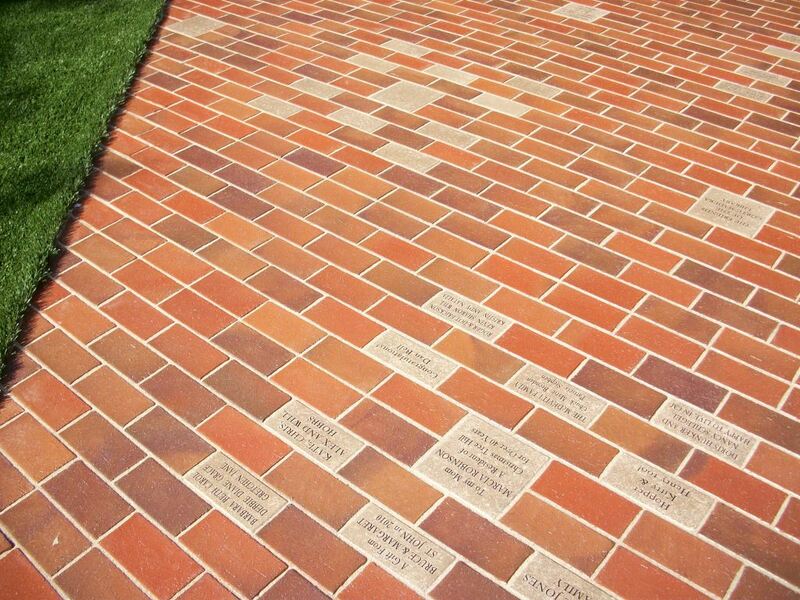 Laser engraving bricks creates a lasting shrine to important projects and those who helped make it happen. As with the stone sculptures among the Roman ruins, the laser engraved stone artifacts will last a lifetime and beyond. Often, because a display of laser etched bricks will last for decades, if not centuries, they sell themselves, making the fundraising project simple and fun. To learn more about using laser engraved bricks for your next fundraiser, contact one of our laser engraving experts at (800) 344-5273 or send an email.